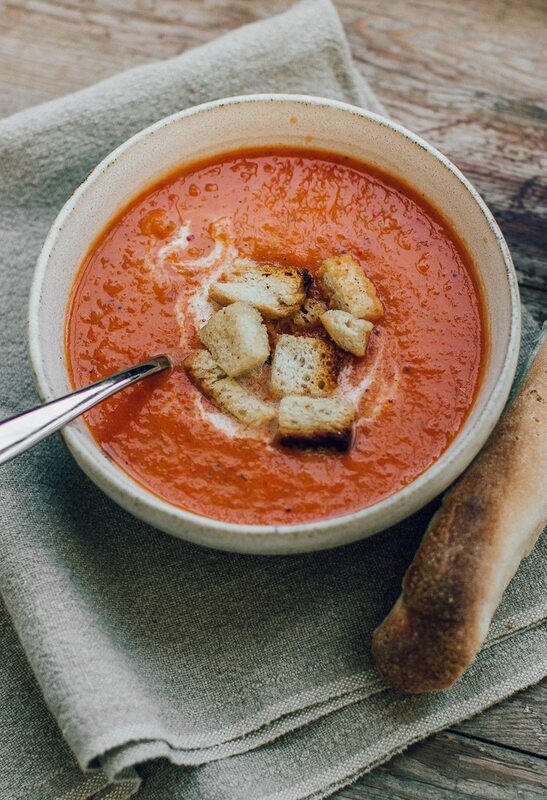 Roasted Red Pepper Tomato Soup - Pretty. Simple. Sweet. 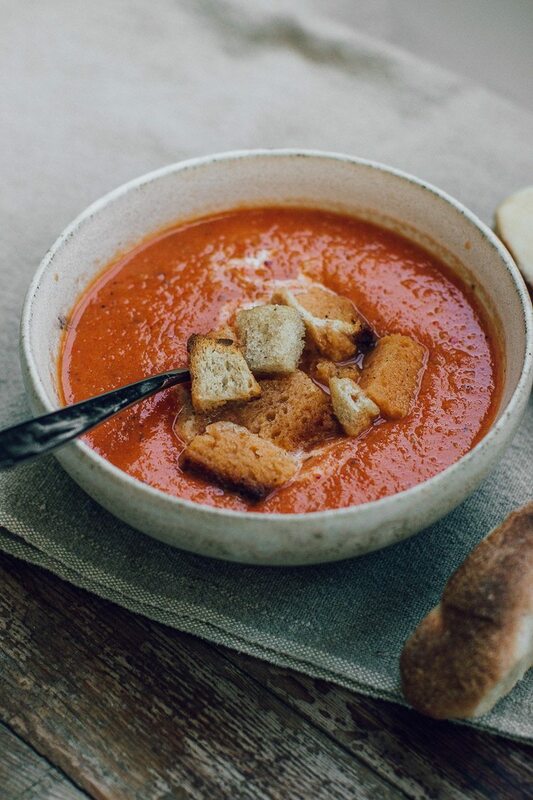 Satisfying roasted red pepper tomato soup that can be served either warm or cold. 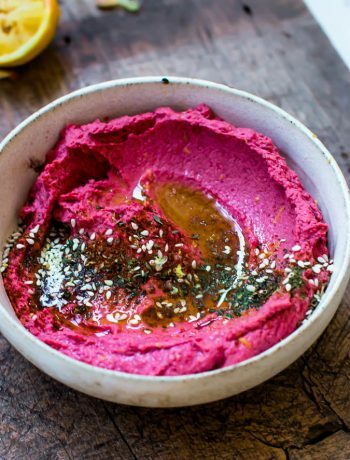 It’s great as an appetizer or a main dish. 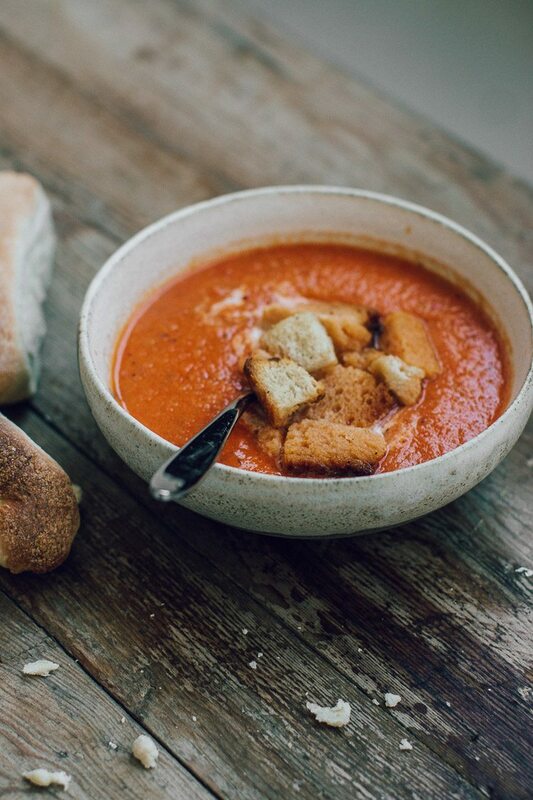 Growing up my mom used to make us tomato soups a lot, and I mean, a lot. Although I liked it, eating it 3 days in a row every week was a bit too much. But now that mom doesn’t live with me or prepare my food every day, I miss this soup all the time. Because it’s finally winter I decided to prepare the soup myself. 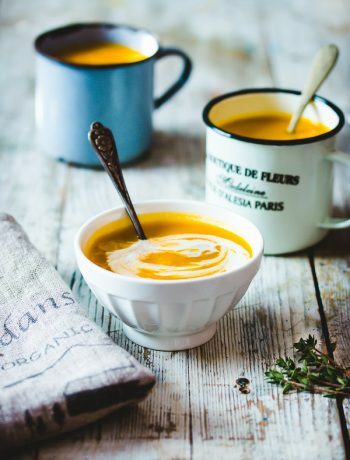 There are only about 3 months of winter here and even then the sun is almost always out and shining, so I treasure every moment of it, getting all cozy in bed with a big bowl of soup. Or hot chocolate. I played with mom’s recipe, adding more red pepper because I love peppers more than tomatoes, and roasting all the vegetables for a deeper, much better flavor. It takes 40 minutes to roast in the oven, but then mixing all the ingredients in a pot only takes 5-10 minutes. It’s a delicious satisfying soup, and it’s great to make a day ahead, as I find the flavor improves after a day. Preheat oven to 400F/200C. Place garlic, tomatoes, peppers and onion, cut side up, in a large baking pan or a rimmed baking sheet. 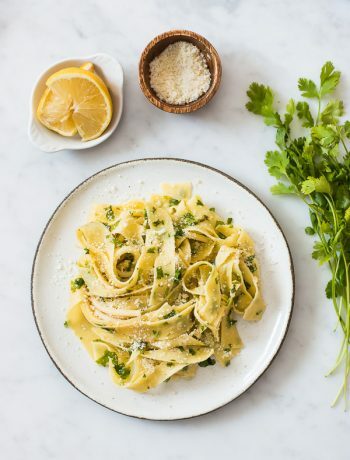 Drizzle with olive oil, and sprinkle generously with salt and pepper. Place on the middle rack of the oven, and bake for 40 minutes until roasted and tender, turning the vegetables after 20 minutes. Allow to cool slightly. Peel the garlic. Bring the broth to a boil in a large pan over high heat, then add the vegetables, thyme, paprika, chilli, and vinegar, if using. Let simmer on medium heat for 5 minutes, then remove from heat. Puree the soup using an immersion blender until smooth with some texture (if you don’t have one, transfer to a food processor and process until pureed). Season with salt and pepper. For a thinner soup, you can add water. The flavor improves after a day of refrigeration, so be sure to save your leftovers for lunch the day after.